Chair with leather covered upholstered steel tube frame. 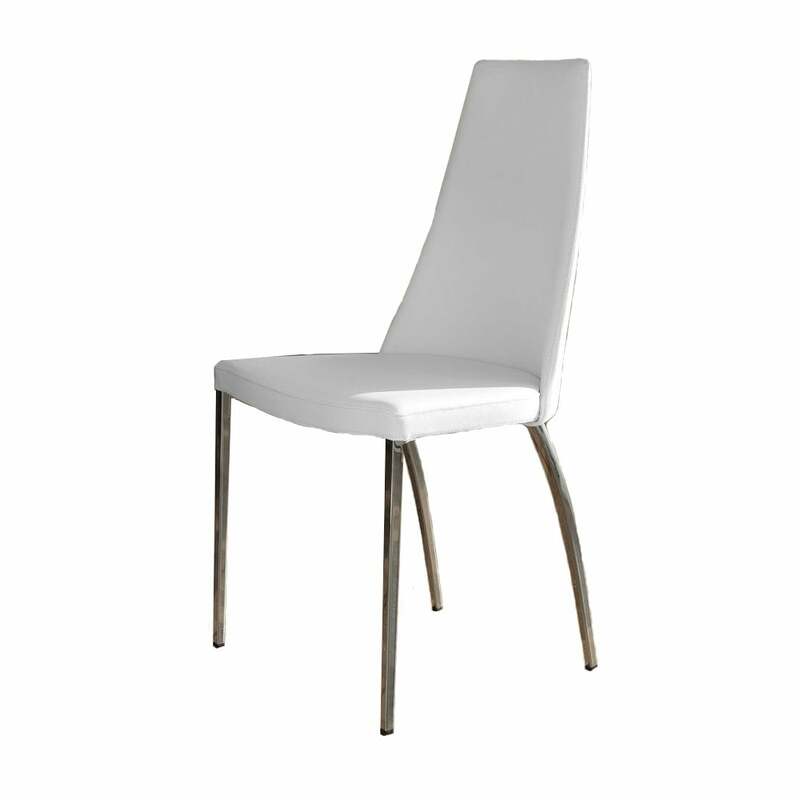 The high rounded back rises on the thin and light legs. A meeting of pure lines making Dalila a complement of big personality.